Khloe Kardashian is tired of Scott Disick’s behavior. 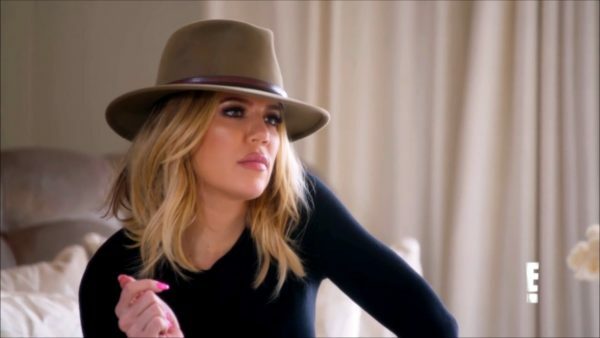 On this Sunday’s Keeping Up With the Kardashians, Khloe says that Scott acted like a “negative, depressed victim” during a recent family dinner celebrating the late Robert Kardashian’s birthday. In this clip from the episode, Khloe is hanging out with Kourtney Kardashian and Kim Kardashian when she tells them what she really dislikes about Scott. “But he’s depressed,” Kourtney says. “He’s not making an effort whatsoever to come to mom’s with a little smirk on his face,” Khloe tells Kourtney. Khloe then goes on to reveal what Scott has to do to have a relationship with their family! Take a look at the clip above to find out what Khloe said and see what Kourtney revealed about Scott’s behavior!